A taste of Sid Sahrawat's three-pronged culinary empire. 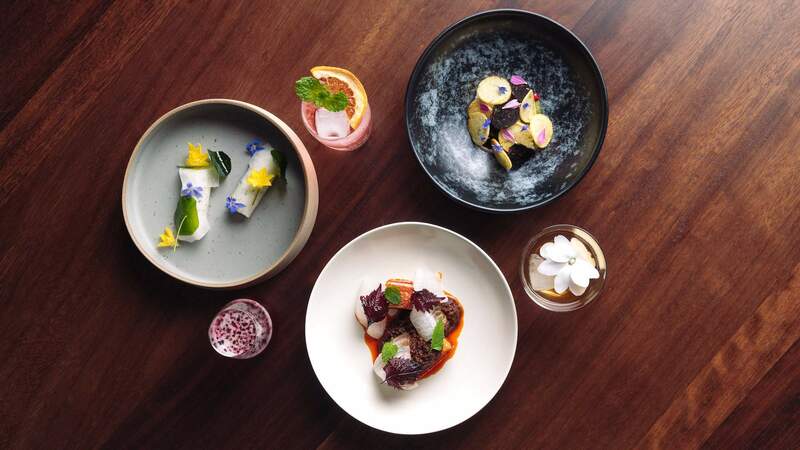 Those looking to tick off three of Auckland's best restaurants now have the opportunity to do so in one go as chef Sid Sahrawat launches Tuesday Test Kitchen. The new initiative will see the esteemed restaurateur deliver a taste of his three-pronged culinary empire: Sid at The French Café, Sidart and Cassia. Taking place on the first Tuesday of each month, the Tuesday Test Kitchen dining experience will see customers served two dishes from each restaurant. While the menu will change each month, diners can expect a slice of contemporary Indian food from Fort Street Indian restaurant Cassia, the progressive Indian cuisine now found at Sidart, and the European-style menu offered at Sid at The French Café. Tuesday Test Kitchen will be hosted in the private dining room at Symonds Street restaurant Sid at The French Café, as Sahrawat cooks, plates and introduces each dish. It is priced at $175 per person, which includes canapés, the six dishes from Sahrawat's stable of restaurants, the choice of Champagne, a Seedlip cocktail or beer on arrival, plus water and post-dinner tea or coffee. Tickets are limited to just 30 guests per session and can be booked via sidatthefrenchcafe.co.nz. Dietary requirement queries should be directed to info@sidatthefrenchcafe.co.nz.